Former Secretary of Defense Donald Rumsfeld wasn't commenting on the annual 'Who-goes-where-next-season?' motorsport debate, but one of his most infamous quotes can be applied in this case. Here's another forewarning. Most of the info that follows has been gathered from those prepared only to speak off-the-record, hence no quotes nor attribution. A backdrop to all this is the aerokit situation. 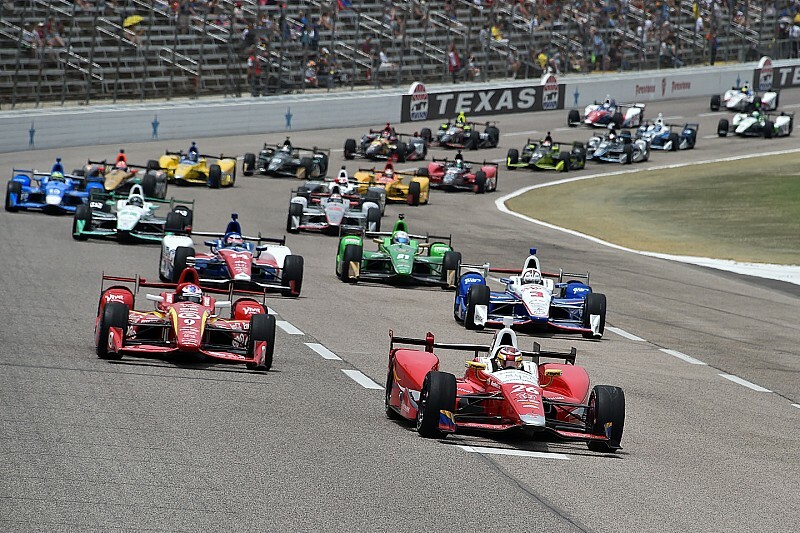 Should IndyCar freeze development next year, as seems highly likely, then Honda teams are again going to look superb on superspeedways but struggle relative to Chevrolet on road/street/short ovals. Aside from money, this situation was brought up most often as a key influencer over decisions for 2017. Tim Cindric told Motorsport.com last weekend that he expects the team to retain the same four-driver lineup as in 2016. And why not? Helio Castroneves, Will Power and Juan Pablo Montoya have won either a championship or Indy 500s for The Captain, while Simon Pagenaud leads the 2016 title chase. So what’s the gossip? Well, Josef Newgarden only signed a one-year deal with Ed Carpenter last year, so he is available, and even a hard taskmaster like Roger Penske would surely agree that Newgarden has paid his dues by the end of his fifth season in the series. He’s a proven winner, fast and combative in the cockpit, and a promotable and class act outside the car. He’s also 25 and by the end of this season, two of Penske’s drivers will be 41. Which is not to say Castroneves and Montoya are losing it… but nor are they going to get better. Newgarden, by contrast, hasn’t yet peaked. Another thought to consider is whether The Captain could afford to let Newgarden join forces with arch-rival Chip Ganassi. It’s one thing to miss out on an ace, quite another to have that ace actively working against you and from a position of power. If all is happy within Team Penske currently, then maybe RP would regard changing his lineup this year as an unnecessary rocking of the boat. And so if Newgarden does go to Ganassi, Penske could (and should) hire Ryan Hunter-Reay at the end of 2017. However, this writer believes Alexander Rossi is Penske material – and he’s available to move this year. Scott Dixon will be staying, despite the disappearance of Target sponsorship at season’s end. Max Chilton and Charlie Kimball are funding their cars, so they’re highly unlikely to be going anywhere. The big relief for the team personnel and IndyCar as a whole is that Chip has stated he still intends to field four cars next year, and anyway, logic would suggest he would not run just one proven ace alongside two drivers with one win between them. So is that question mark over the occupancy of the #10 car justified? Possibly not. Sources suggest that NTT Data will not be replacing Target on Dixon’s #9, but will instead stay where it is, more than happy with Tony Kanaan. The 41-year-old Brazilian (South America was apparently on a drive to breed IndyCar drivers in 1975) has not won for two years, but he’s probably a better road/street course driver now than three years ago, and is still top quality on ovals. If Chip were to chop TK, it would surely only be for Newgarden… or the highly impressive Felix Rosenqvist who tested for CGR last month. Or he could give TK one more year in order to pounce on Hunter-Reay in 12 months’ time. There is a lot of speculation surrounding Michael’s team – Isn’t there always? Hunter-Reay has one more year left on his contract and we understand he can’t even be approached by another team until next May. At that point, his phone should blow up with team owners eager to negotiate. This former champion and Indy 500 winner is as fast and brave as ever, one of only three or four drivers in the field who can win a race your team doesn’t deserve to win. And, crucially, he probably has five or six more good years in him. 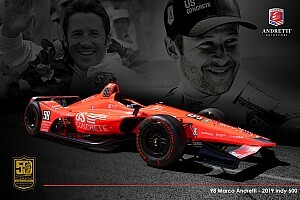 We’re assuming Marco Andretti is going to try and bounce back from what is arguably his most depressing season yet. As he bluntly commented after a similarly poor season several years ago, “Who else would have me?” The answer to that is unlikely to lie within IndyCar. 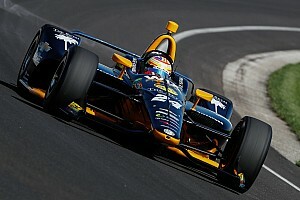 And his Dad’s team still offers one of the consistently strong shots at victory in the Indy 500 – Marco’s dream. Unless a truly interesting opportunity emerges from Formula 1, we’re not expecting Alexander Rossi to leave IndyCar. And even the man himself has admitted that he’s speaking to Andretti more than with other IndyCar teams, which seems sensible. 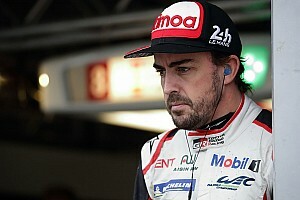 Provided there’s no offer from a Chevrolet-powered team – Penske, Ganassi, Carpenter or KVSH – why move? Carlos Munoz is excellent on the superspeedways and very good elsewhere; a fine all-rounder, in other words. But we understand that his funding is looking shaky. Should Michael Andretti find a talented driver with $6m, Munoz would be the first of the current AA quartet to be axed… unless Carlos then found $7m. Sebastien Bourdais, for some reason, is not seen as desirable to folk like Penske and Ganassi, despite being an ace. That works out fine for KVSH, which therefore find it easier to retain him. 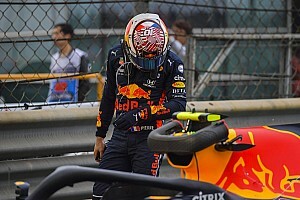 The one-car lineup (for all but the GP of Indy and the Indy 500) has worked out well enough in terms of reducing crash damage and therefore diverting funds away from the #11 car… But it hasn’t enabled the primary car to fight for victories more frequently. As Penske match consistency to speed, Bourdais is having to instead be king of the opportunists. KVSH see Seabass as their greatest asset – which he is, and pay accordingly. And while expansion to two cars is a strong possibility here, it would likely be a proven IndyCar driver rather than a novice. 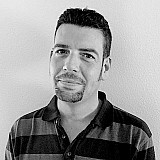 Someone like Munoz would be ideal – depending on money. The one rookie Kevin Kalkhoven and Jimmy Vasser might risk would be the guy they ran at GP Indy and the Indy 500 – Matthew Brabham. The driver that could help their oval program immediately would be Gabby Chaves. And let's not forget the relationship with Iowa visitor Pastor Maldonado. Sam Schmidt intends to run James Hinchcliffe and Mikhail Aleshin again, relieved at the chance for year-to-year continuity. Should Santiago Urrutia win the Indy Lights title for SPM, he will come with a Mazda Scholarship which will allow Sam to run a third car in three races next year. Ed will regard it as a huge bonus if he gets to keep Newgarden one more year. Should Josef be wooed elsewhere, Carpenter will not hand over lead driver role to Spencer Pigot, who has potential but currently takes too long to come up to speed on red tires and is therefore currently underperforming in qualifying. He needs a sophomore season to build his confidence and experience. So, what are Ed’s options? He’s likely to favor an American driver and it’s nice to believe he’d throw a career lifeline to JR Hildebrand, who has done such sterling work for the team over the past couple of seasons. Given the team’s progress recently and the fact that it runs Chevrolet units, Carpenter is in the happy position of knowing that he should have plenty of choices. As mentioned above, he may be able to turn Rossi’s head; Munoz would be another strong option. But maybe Ed’s priority will be to prevent race engineer Jeremy Milless departing with Newgarden. Graham Rahal will be staying onboard, obviously, but the debate over a second car is a difficult one. If the aerodynamic package freezes, as seems likely, then Honda teams will continue to lose out to their Chevy rivals on road, street and short ovals. Therefore to maximize its chances, RLLR would do well to get a second driver… but who? Graham wants an Oriol Servia-type veteran, but maybe a bit of intra-team driver friction is needed here. Rahal father and son agree that a second car is only worthwhile if it adds value to the program, and from Graham’s perspective, that means sharing feedback – not just taking on a rich rookie. Someone fast and experienced and cheap would be a Jack Hawksworth; but he’s not going to bring enough money to fire up the second car, so only Bobby can weigh up the values. There are big off-season changes coming here. Whether that includes a complete change of driver lineup, or just one – probably Hawksworth – gets the bullet, is unclear. He and Takuma Sato are perceived as fast but flaky – but the young engineering group has a part to play in that perception, as does the Honda aerokit. 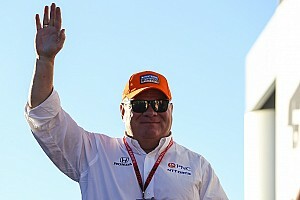 The Foyt name is synonymous with success, and A.J. and Larry dug deep to step up to two cars last year. The fact the team hasn’t yet benefited from that suggests they need a proven winner and may be prepared to pay big bucks to get him. Should Kanaan lose his ride at Ganassi, don’t be surprised to see him head this way. The team wants to keep hold of Conor Daly, who has done a fine job this season, but that may also draw CD elsewhere. Daly has a past with the Foyts, who still like and rate him; were he to bring money, he may also appeal to KVSH Racing as a partner for Bourdais, which would be a great opportunity for Daly to measure himself alongside a champion… and clothe his car in a Chevy aerokit. Without wishing to be harsh, the second Coyne seat is traditionally open to the highest bidder, although the days of running no-hopers seem to be behind Dale, who plows good money into the #19 car. Race engineer Kyle Brannan’s work has helped Luca Filippi, Gabby Chaves and (most recently) series debutant RC Enerson to shine. But until a driver approaches Coyne with a check for $5m, this seat is likely to rotate between ride-buyers. If Trevor Carlin’s squad can make the jump into IndyCar next season, it may go on to prove one of the most impressive team debuts in series history. But it may be essential to pair one of these up with an IndyCar vet. Should he be available, someone like Munoz would be ideal as a gauge of progress, but Matt Brabham would be worth a run, too. Like Carlin, Ricardo Juncos isn’t going to do this on a wing and a prayer. Expect at least one pay driver and one Lights graduate – but perhaps not a former Juncos driver.